The Federal Government has applied to the Federal High Court in Abuja for an order of temporary forfeiture of about 22 properties allegedly owned by Deputy Senate President Ike Ekweremadu in Abuja, London, the United States and Dubai, United Arab Emirates. In the ex-parte application filed yesterday by the Special Presidential Investigation Panel for the Recovery of Public Property (SPIPRPP), Ekweremadu is accused of breaching the Code of Conduct for public officers by allegedly failing to declare about 22 properties in his last assets declaration form. The application filed pursuant to Sections 330 of the Administration of Criminal Justice Act; 8 of the Recovery of Public Property (Special Provisions) Act and Section 44 (2)(k) of the Constitution, seeks mainly an order for interim forfeiture of the properties to the Federal Government. The ex-parte application was filed for the SPIPRPP by Festus Keyamo (SAN). It prays the court for an order “temporarily attaching/forfeiting the properties listed in Schedule B hereunder to the Federal Government of Nigeria, pending the conclusion of further inquiry/investigation by the Special Presidential Investigation Panel for the Recovery of Public Property and/or possible arraignment of the respondent (Ekeremadu)”. The grounds relied on by the applicant include that the properties listed in Schedule A hereunder were the properties declared by the Respondent in his Assets Declaration Form at the Code of Conduct Bureau (CCB). It stated that investigation/inquiries have revealed that the properties listed in Schedule B also belong to the respondent and so belonged to him when he declared his assets in Schedule A. The applicant added that the properties listed in Schedule B were not declared in Ekweremadu’s assets declaration form. It added that preliminary investigation by the applicant reveals that a prima facie case of a breach of code of conduct for public officers had been made out against the respondent. But Ekweremadu, in a statement, insisted there is no asset to forfeit to the government. He claimed the filing of a motion for the recovery of his assets was part of the politics of the 2019 general election. He said in the statement by his Media Adviser Uche Anichukwu: “The attention of the Office of the Deputy President of the Senate, Senator Ike Ekweremadu, has been drawn to a motion ex-parte filed by Festus Keyamo Chambers on behalf of the so-called Special Presidential Investigation Panel for the Recovery of Public Property for an order to temporarily forfeit assets it claimed the senator did not declare with the Code of Conduct Bureau, CCB. “Senator Ekweremadu, however, wishes to state unequivocally that he declared all his assets with the Code of Conduct Bureau as required by law. “This is clearly part of the politics of 2019, and is further exposing those who colluded with the dismissed former Chief Judge of Enugu State, Justice Innocent Umezulike and his cronies to steal and doctor his will. “The Senator has, nevertheless, briefed his lawyers and will meet the panel in court. 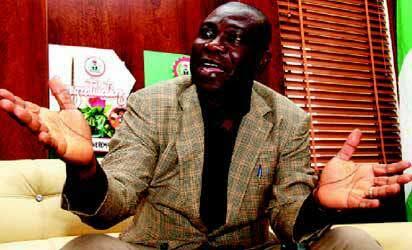 “Again, Senator Ekweremadu wishes to assure all his supporters and well-wishers that there is nothing to worry about."